Our 3 inch Cut-Off tool has a chrome plated safety guard to protect the user from sparks that come from cutting metal. The tool has a safety latch switch to protect against injury. The safety lock mechanism prevents accidental start-ups. 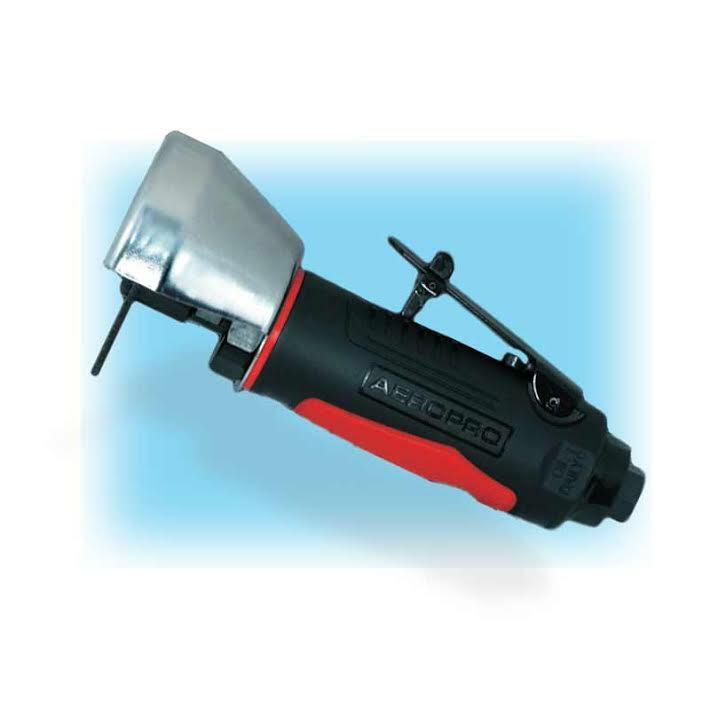 The housing is made from lightweight aluminum and it has a soft grip that covers the body of the tool. The exhaust is in the rear of the tool and away from what you are cutting. There is a built in air regulator for power and speed control. The specially designed screen filters keeps dirt and debris from damaging the tool. This tool can cut aluminum, plastic, fiber-glass and steel for any project. Use this tool for cutting a variety of metal parts including muffler and tail pipes. Always run the Cut-Off Tool using 90 PSI and make sure your air is clean. This will increase the life of the tool. Proper lubrication is also important in maintaining the tool and extending its life.